Whatever the occasion, a bouncy castle is an ideal way to keep the kids entertained. From birthdays to weddings, or even a family barbecue. 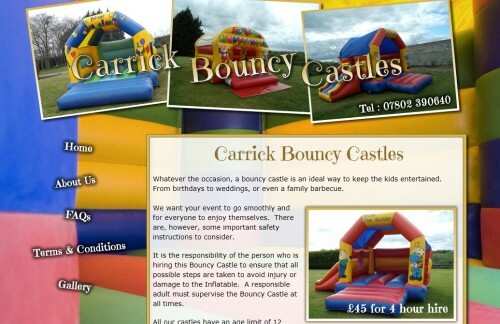 This East Antrim based Bouncy Castle Hire company provide cheap and reliable rental of bouncy castles for hire throughout belfast and the surrounding areas. Booking the bouncy castles couldn’t be easier and the website includes everything you need to know to make sure that your kids party goes with a bounce! The website also includes a great gallery of Bouncy Castles.